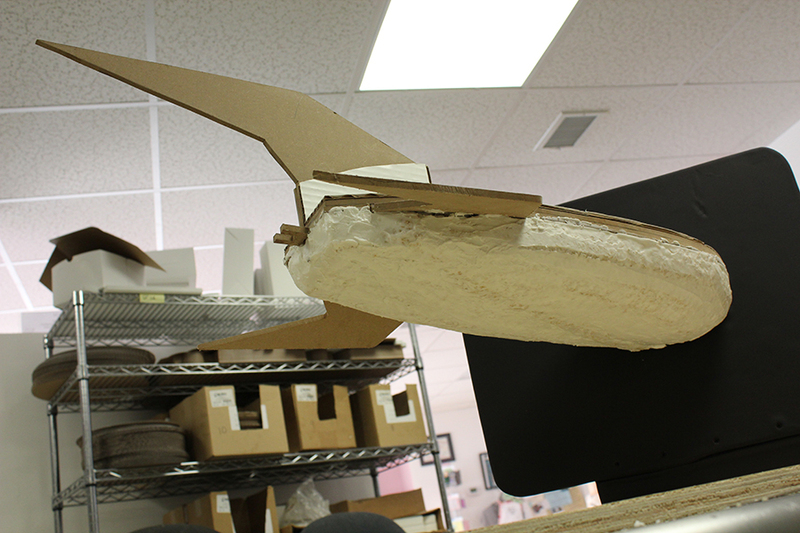 We made a Futurama Spaceship this past weekend. 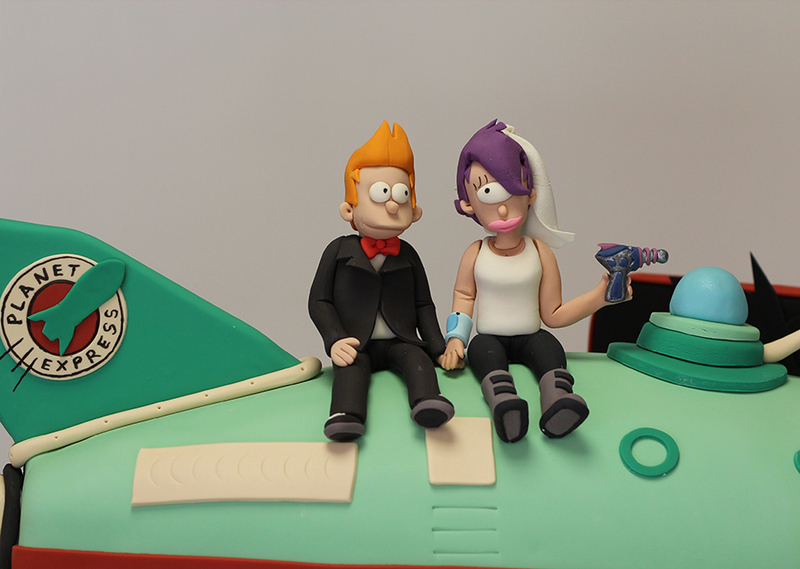 This was a surprise groom’s cake that was ordered earlier this year before the announce of the canceling of the show, and before we knew Fry and Leela were getting married. How cool. 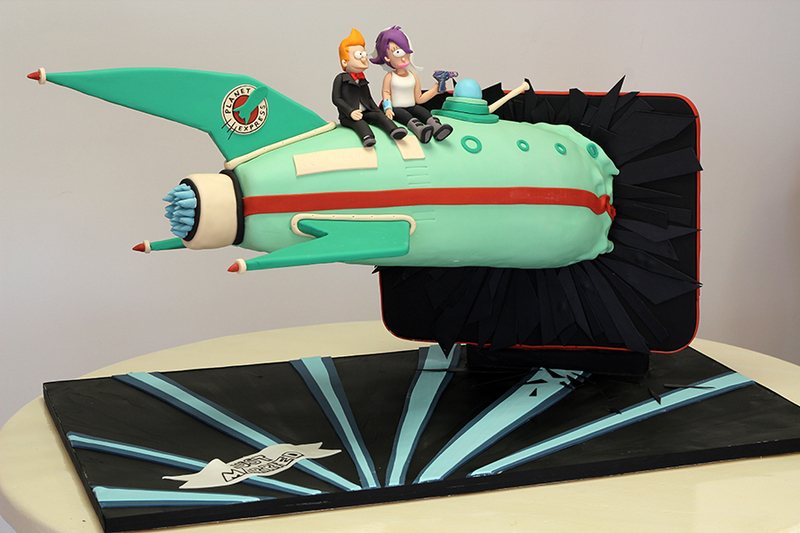 The spaceship is mostly cake with its underside being rice krispie treats. The figurines are hand-sculpted out of fondant and gumpaste. 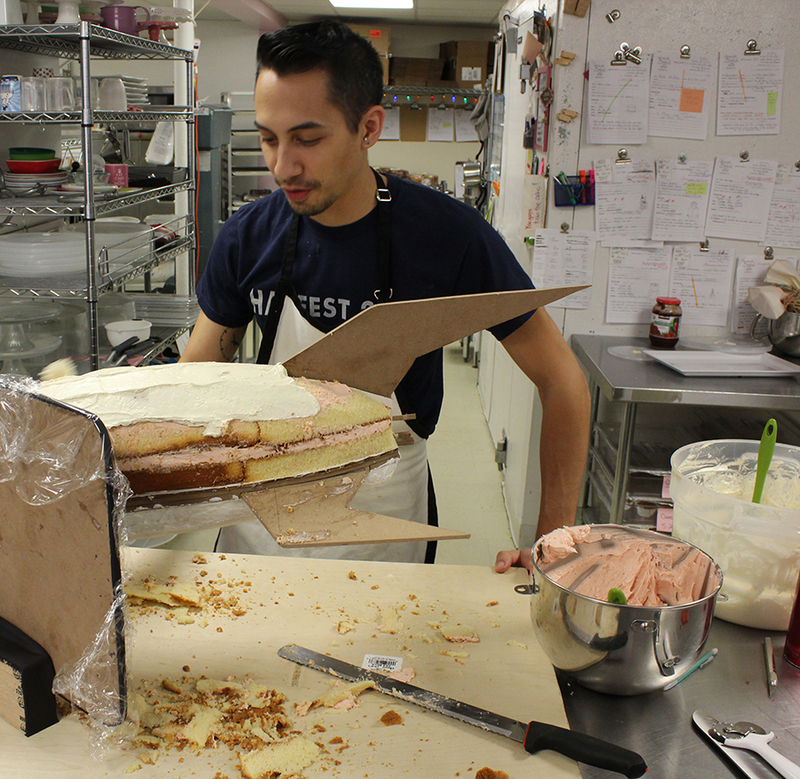 As for size, the cake was made on a 3 1/2 foot base and stood about 1 1/2 feet tall. Inside was yellow cake with strawberry buttercream on the top half of the ship. It took three of us to cover the cake in fondant. 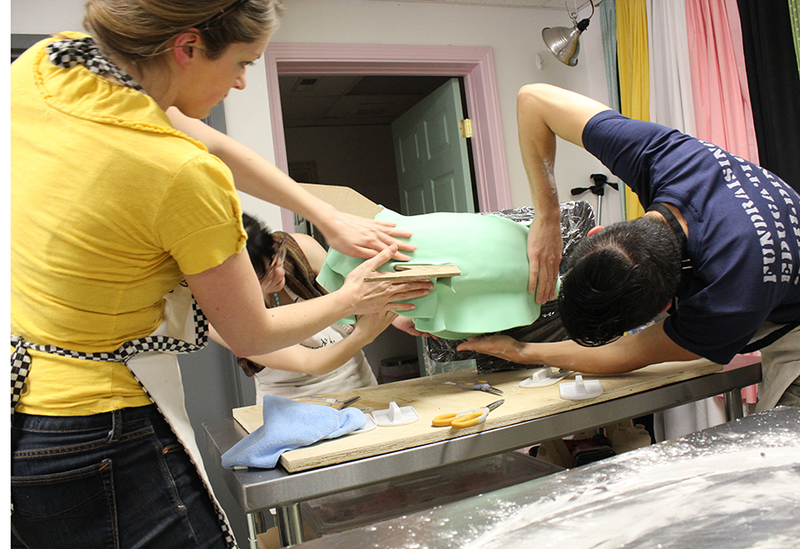 All 6 hands were necessary to get the single sheet of fondant carefully wrapped around all wings and onto the underside. Closeup of the figurines which we hand-sculpted out of fondant and gumpaste. Love this cake. You did an amazing job on the figures.